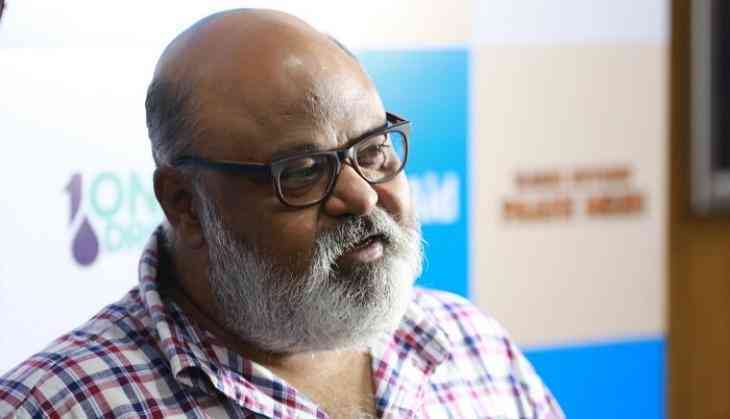 National Film Award winning actor Saurabh Shukla has done numerous shows on stage, but says it's wrong to think that people who have done theatre are better actors. In 2012, the "Jolly LLB" actor returned to the stage after 18 years with the comedy-drama play "2 To Tango, 3 To Jive". His other play, "Barff" , has also entertained audiences in different parts of the country. Asked if actors with a theatre background are better than those who have never done plays, Saurabh told IANS over phone from Mumbai: "It's a very delicate question and the answer has to be understood rightly. It's not true that if you've done theatre... you will be a better actor. "Even without theatre, you can be a good actor. Acting is all about your world view and how you express it." He feels like everything in life, people need to practice their craft and theatre provides more opportunities for this. "When you go to a film's shoot, your responsibility is to deliver on Day One because people start shooting from that day itself. You can't try and figure out what's going on and how to make it better on the set. Whereas theatre... what it does is... before D-day, which is the show day, you practice for months. That gives you ample time to figure out. "People who have done theatre, they get to practice a lot in their craft. So when they come to movies, it is slightly easier for them to apply whereas if you have not done theatre and you are absolutely fresh, then on a film's set you will try and figure out," he said. The 54-year-old's voyage in acting began in the 1980s with stage shows. How much has the industry changed over the years? "It's the same. In Gujarat and some parts of Maharashtra like Mumbai, theatre has always been a commercial activity. So people earn their livelihood through theatre. But in the rest of the country, including Delhi, Kolkata, Madhya Pradesh and Uttar Pradesh, it's not a big economic activity. "It's run on passion. The bottom line of theatre is if you love it enough, then you do it and you do it right when you love it. That has not changed over a period of time." As of now, he is riding high on the success of "2 To Tango, 3 To Jive", which will celebrate its 100th show on Saturday in Mumbai. "The moment is very special because it is a very special play for me. With this play, I came back to theatre after 18 years. It's really heart-warming to see that it has reached the 100th show," he said. "We opened it in Delhi, where I started my career, and for the 100th show, we will perform in Mumbai which is my work place... My 'Karmabhoomi'," said the Sri Guru Tegh Bahadur Khalsa College alumnus. The play is a humorous take on a man hit by midlife crisis and how he tries to make himself feel young. While that is a fictional story, what's his real-life story? "I consider myself very lucky that I entered a field where friendship and human contact happen due to work. Whenever I am not performing or working on a project, I take workshops at times, I meet a lot of young people. So, the company per se of young people and meeting young minds keep you alive and young," said the actor, known for films like "Barfi!" and "Satya".